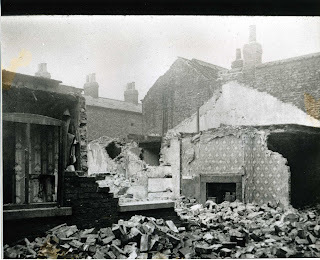 In the group’s previous blog the censored version of the Zeppelin Raid on Goole was explored. In this, our second blog, in the series a real account of the raid will be explored. The following account is based on an official report from the period and a letter written by a Mr West (Shipping Clerk at Lancashire & Yorkshire Railway Goole Steam Shipping) to his daughter. The Zeppelin then flew over the town from East to West, dropping eight H.E bombs and 13 incendiaries on the town and docks. Ten houses were demolished and several other houses were badly damaged by explosion and fire, a dozen persons being buried in the debris. 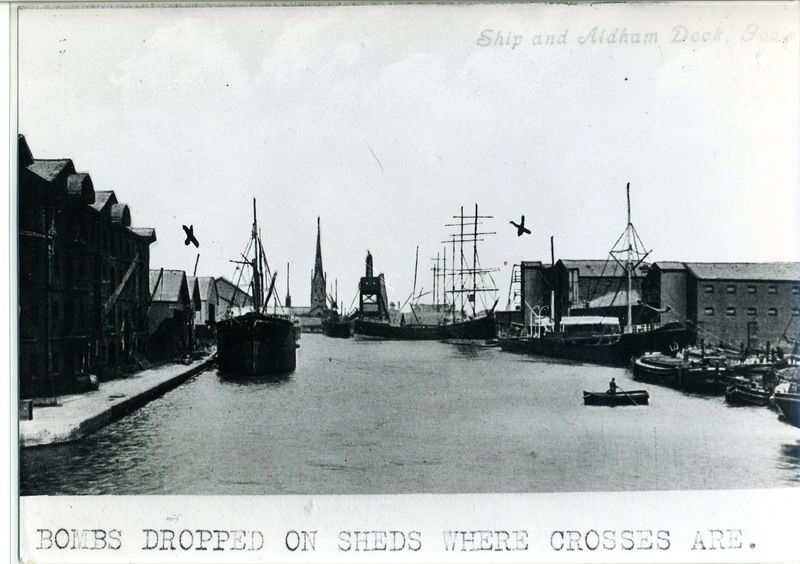 A large shed on the dockside was badly hit and in Aire Street was badly damaged by the blast. The Zeppelin continued to travel westwards dropping 16 incendiaries, which fell between the Lancashire and Yorkshire Railway Sidings and the North-Eastern loop line between the docks and the Dutch River Bridge, causing no damage. The Zeppelin would continue to drop bombs throughout Yorkshire believing heading out to sea at 12.12 am. “All flocked out, too, on Tuesday, at dusk, but better prepared. Men & women, bairns & baskets, chairs and stools; aye and even beds were taken out to field and hedge side, road and lane, seeking safety”. The fires were speedily bought under control but as a result of the raid one man, nine woman and six children were killed. Two women were seriously injured and two men, two women and five children less seriously injured. All were persons in poor circumstances and all the men were civilians. The visitor to Mrs Acaster’s would also later be confirmed dead. In the final article of the series the aftermath of the raid will be examined. Hook, J (1995) This Dead Land: The Zeppelin Raids on Hull and District 1915-1918. J. Hook. With thanks to the Yorkshire Waterways for the images. Hello, My name is Luc VAN OUTRYVE, from Belgium. I try to reconstruct my grandfathers life during World War 14-18. 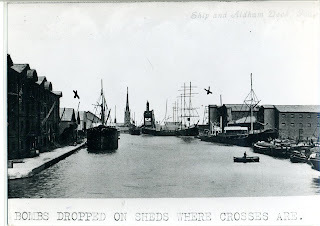 He was captain on ss CLARA and regularly traveled between Goole and Le Havre. In Goole he had a post address : T. Ward shipping Company. Can you help me to find out what he was doing (or what did he transport? ).